1 in 10 children are born with a vascular birthmark. VBF is an international non-profit that has networked over 125,000 patients into treatment since our founding nearly 25 years ago. 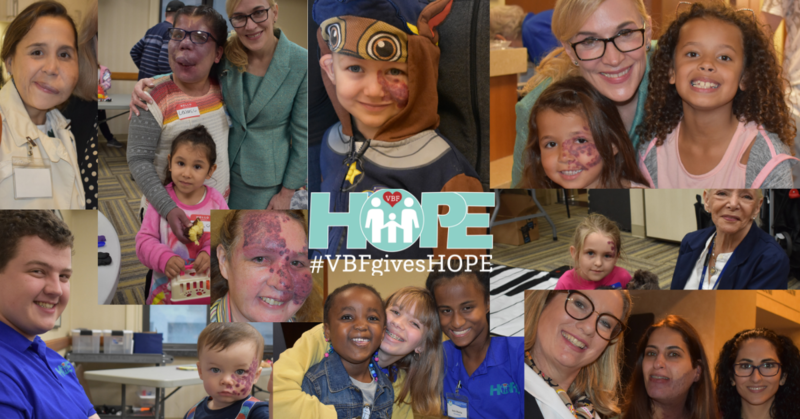 Your tax deductible gift helps VBF transform lives. Please send an acknowledgement letter of my gift to the honoree and/or family at the address listed above. If you have a PayPal account, you can click the PayPal button to continue. Otherwise, fill in the credit card and billing information on this form and click Submit at the bottom of the page. If you are making a sizable contribution ($4000.00 or above), your credit card issuer may prevent the charge by having you verify the transaction, with an extra step or a phone call, or by declining the transaction outright. Please consider breaking your contribution into smaller amounts or mailing your contribution to us.